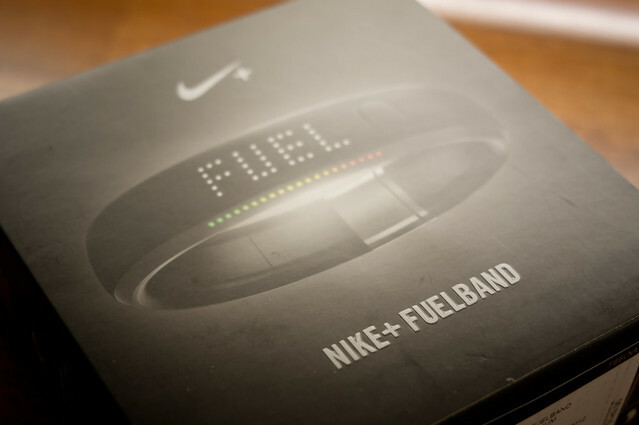 On 19 January 2012, Nike announced the Nike+ Fuelband, a new product in Nike’s line-up of digital sportswear. The activity-tracking bracelet uses a 3-axis accelerometer and Bluetooth. It is also integrated with Nike+ and introduces NikeFuel, a new metric for measuring activity. NikeFuel is said to be a “normalized score that awards equal points for the same activity regardless of physical makeup”, which is more standardized that calorie counts (more dependent on gender, body type and heart rate). It is not a perfect for everyone as the Fuelband only tracks wrist movement. More about it at the later part of this entry. Given my new hobbies, I was completely sold on the Fuelband at the start and my sister can attest to that. The Fuelband is available at the Niketown store in New York for $149.99 (before sales tax). The Nike+ Fuelband is currently not available in Singapore (or anywhere outside of US for that matter) So the only way to get it in Singapore is to have someone buy it in New York and ship it to you. 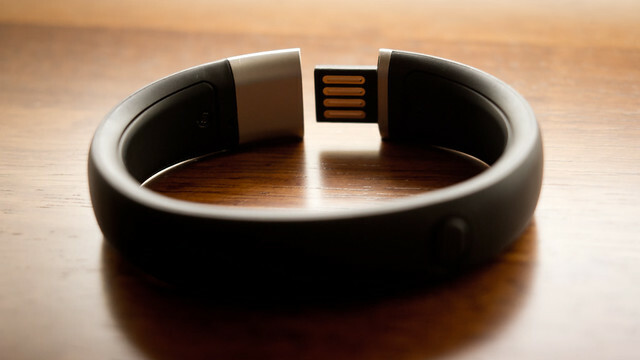 The Fuelband is slated for launch here in June 2012. Long story short, I have one on my wrist right now. Here’s a photo gallery of all things Fuelband as well as my review. *WARNING: May permanently damage your Fuelband. If in doubt, return your Fuelband to Nike. 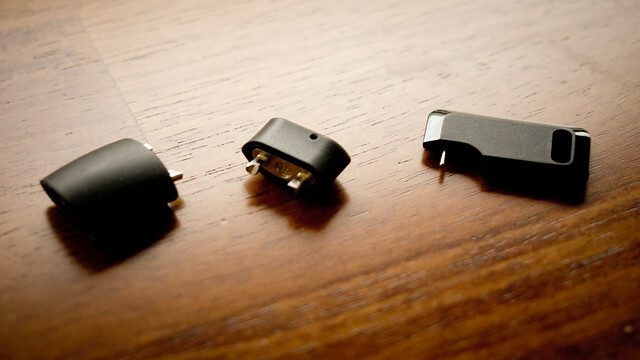 Hold the button on your Fuelband and plug it into the USB port (best to use an extension cable). Your PC will not react or recognize your Fuelband. Release the button and the Nike+ Connect App will auto-start. If you have problems signing in at the Nike+ website, or keep getting stuck at Fuelband setup (usually the “Almost done.”, or “Click finish to go back to Nike+ Connect to save your information and check your battery” screens). The issue might be because you are residing outside US and UK. The website is designed to work within US and UK only, but of course, there are large numbers of users outside of the regions where the Fuelband is officially available. The SOLUTION is simply to use a Virtual Private Network (VPN) with a VPN server based in the United States. This can either be a free or paid service (or a corporate one if you have access). This will allow the website (and setup pages) to load properly. It comes packaged in a nice presentation box, like Nike+ SportWatch GPS. 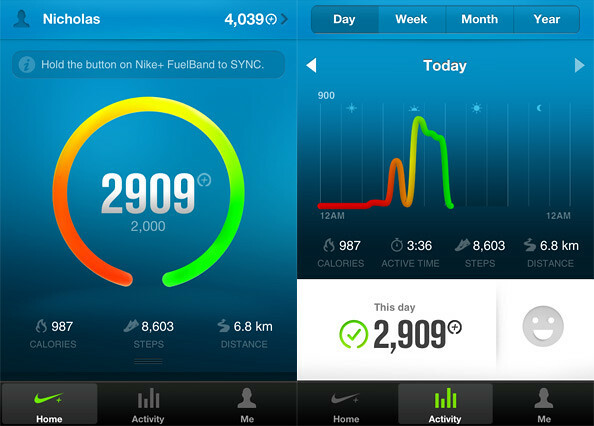 The Fuelband needs to be charged and paired with Nike+ Connect before it can be used. The iPhone App CANNOT be used to setup the Fuelband, unfortunately. Accessories included: USB cable, Dock, 16mm bracelet link, Bracelet Sizing tool. Each Fuelband comes with 2 bracelet links: 8mm and 16mm. The 8mm is already installed on the Fuelband, and can be removed for a tighter fit. It is not possible to combine the 8mm and 16mm link (for a 24mm extension) unless you glue them together, the locking mechanism will not work with two extensions. So here is the Fuelband itself. It is water-resistant, so it can be worn while in the rain, or in the shower, but NOT for swimming. Also the USB connectors must be wiped dry before connecting to a port. I have the Fuelband in medium size. It is also available in Small and Large. Use Nike’s sizing guide to find out which is best for you. You can charge and sync the Fuelband via USB. Either directly or with the USB dock included. Setting up the Fuelband is a simple task. You need to download and install the Nike+ Connect application. The software will automatically bring you through the setup process and pair itself to the band. 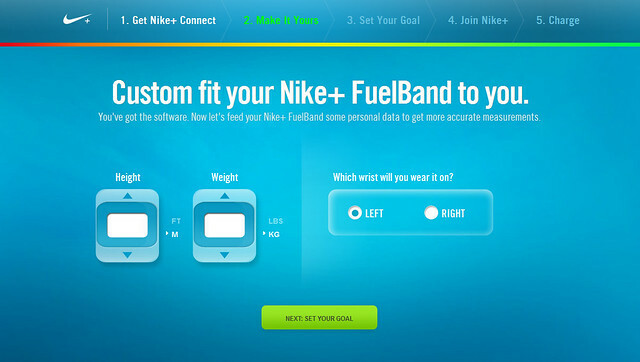 The application will launch a browser window, where you enter personal details to “Make it yours”, set a daily NikeFuel goal then link the Fuelband with your Nikeplus.com account. The Fuelband display is an attractive LED dot matrix with 100 white LEDs for the main display and 20 coloured LEDs for the Fuel meter. It can cycle through 4 main “screens”: Fuel Points, Calories, Steps and Time. So yes, it functions as a wristband watch too. The secondary menu (activated by holding the button longer) displays Sync, Bluetooth, Airplane Mode and Soft Reset. The iOS App is a great alternative to Nike+ Connect. You can configure and sync the Fuelband via Bluetooth. In order for the App to work, the Fuelband MUST be first paired with the iOS device. Wireless Syncing must be initiated by the user by pressing the Fuelband button to activate “SYNC” mode, with the iOS device’s Bluetooth turned on. 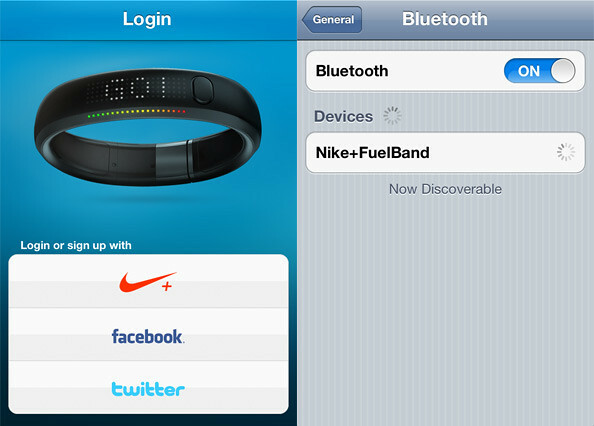 The app will automatically retrieve date from the Fuelband and upload to Nikeplus.com. The App itself is beautifully designed to mimic Nikeplus.com, and plays congratulatory videos when users reach a goal or milestone. It allows you set goals, view your personal history and activity charts. You can also post your hard-earned progress onto Facebook or Twitter. The only thing it lacks is a battery meter, I think. I really enjoy the ability to sync anywhere with my iPhone. If only the Fitbit supports this functionality. The Fuelband uses accelerometers to track wrist movements, which also means that it is not effective in measuring activity for some sports that do not involve a lot of wrist/arm movement, such as cycling. Suffice it to say, preparing a meal will probably yield more Fuel Points, with all that chopping and stirring. 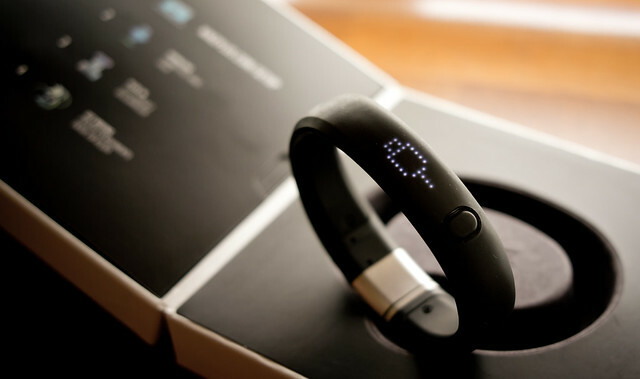 The Nike+ FuelBand tracks running*, walking, dancing, basketball, Frisbee, and scores of everyday actions. It is less suited for resistance activities like weight lifting or yoga, as it is only designed to measure activity where your wrist is moving as part of your overall movement. It doesn’t track biking or flying . . . at least, not yet. And it’s not recommend for use while swimming (it’s water resistant but NOT waterproof). * – You can wear the FuelBand for running. The FuelBand tracks everyday activity and you will earn NikeFuel for your run, but it does not track workout duration, speed or distance. I also discovered that it does not track steps as accurately as pedometers, especially if my wrist is stationary (say I’m walking with my hands tied down with heavy bags of groceries). 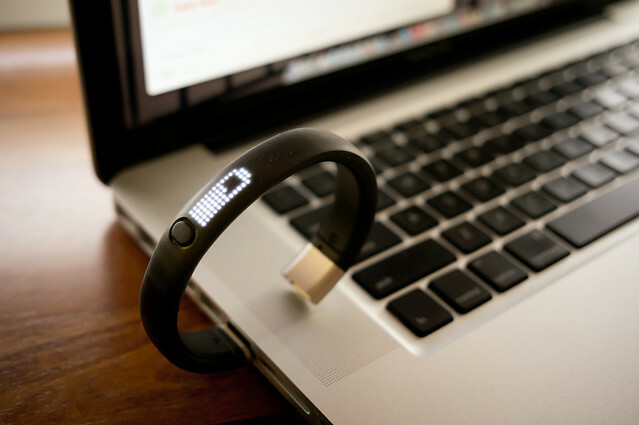 Some users online suggest wearing the Fuelband on the ankle. It might work. The idea of using a standardized metric, NikeFuel, can also be seen as being too simplistic to compare one’s activity level with another user. Should a cyclist earn significantly less than someone playing racquet sports? However, if I were to look past comparing numbers and see them as my own measure of activity – using Nike’s “the more you move, the more you earn” mantra, then I think it’s a great tool. Being active is better than the typical sedentary lifestyle, after all – but for anyone to use the Fuelband effectively, they need to understand their personal activity levels and adjust the daily goals accordingly. The Fuelband is not new to the growing arena of activity/fitness tracker. The closest competitors will be Jawbone’s UP and Fitbit Ultra. All mentioned devices have smartphone integration and uses gamification – game-like elements are introduced to make personal progress quantifiable with goals, rewards and achievements. So how does the Fuelband compare to Fitbit Ultra? The Fitbit uses a proprietary data port and wireless protocol that puts it at a severe disadvantage if one forgets to carry or misplaces the Fitbit dock. The tracker is also fragile and can be easily misplaced. The Fuelband, given how it is designed, does not track data as meaningfully or as accurately as the Fitbit. The Nikeplus.com website is also sometimes glitchy; bogged down with too much complex scripting and multimedia content. In my opinion, neither devices can complete substitute each other. Both devices measure activity, but calorie burn measurements are at best a very rough gauge. Prospective users who are interested in using these trackers to measure their walking/running distance should be aware that GPS-based solutions are more reliable. In short, the Fuelband is really focused on “making life a sport”, encouraging more vigorous activities and competition (personally, or with friends and strangers), turning (occasionally mundane) workouts into a game. On the other hand, the Fitbit has a more holistic focus on health, with its strengths on sleep and food tracking. 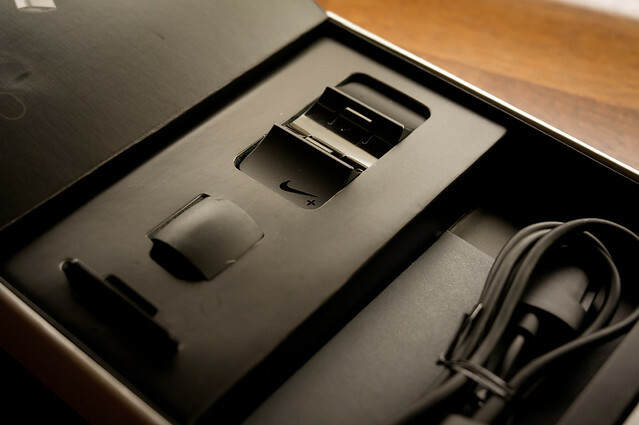 Nike is revamping their Nike+ line, unveiling two new concepts on 22nd February 2012: Nike+ Basketball and Nike+ Training. The new footwear products will be able to track new measurements, such as vertical jumps and nimbleness (for Basketball) and drill reps (for Training). This extension will strengthen the Nike+ line as a competitive “exercise-game” platform for athletes and people with active lifestyles. Existing products (Nike+ iPod, Sportsband, SportsWatch GPS and the Nike+ GPS iOS App) are expected to include earning Fuel as a main feature in the future. 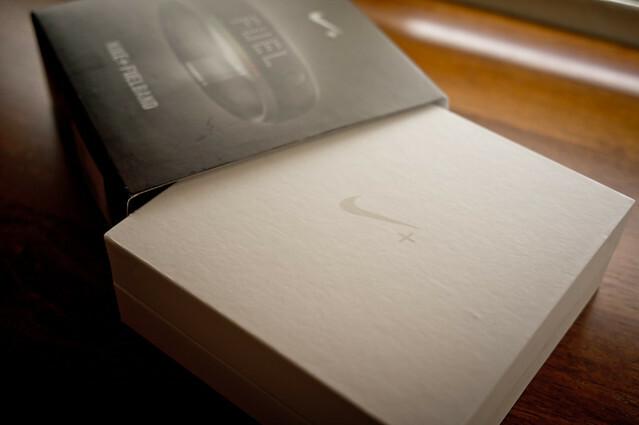 The Fuelband is available in limited quantities, at Nike’s online store and Niketown in New York. It will be available in some countries outside of US from May 2012. It is expected to arrive in Singapore in June 2012. I will buy it if it is a watch…. But I don’t really jog that much. It shows the time too, but it’ll be a waste to get this just for that function! I think it’s perfect for tracking activity during badminton. Thanks for the review. This is very useful! How difficult is it to unlock the Fuelband though? The issue is caused by accessing their website outside of US. The Nike website, by default, would always try to re-direct us to the website localized for us. The Fuelband website however, is currently only available in US. I believe that the use of VPN or proxies may help. You can try it out by logging onto Nikeplus.com and see if you could access the English-US website (the one with black layout). If you have no problems staying logged into the new Nikeplus (the black layout), you should not have any issues registering. Thanks so much. So far… how are you finding it? Do you reckon the tracking is accurate? It’s pretty expensive on eBay! Do you prefer this to Fitbit? I prefer this because it’s more durable and it’s water-resistant – you can just wear it all day and forget about it. The Fitbit actually measures more data (and I think more accurately too, especially for steps) but the device is very fragile, and you have to clip it somewhere. I recently got my Fuel Band and was wondering do any of u have trouble with the inital sync to Nike+ connect? That is a problem with the Nike+ website, not the Fuelband. Just keep trying to register (it took me a couple of hours) and the “Go!” will appear eventually. Appreciate the prompt reply and was wondering could u give me a rundown on the steps u took to register it… it keeps getting stuck at that almost done and for the life of me it shows fully charge on the @#@ band! 1. Install Google Chrome and set it as your default browser. 2. Start the setup on your Mac, using Nike+ Connect. It will load a website on Chrome. 3. Do all the steps as usual, until you reach “Almost Done”. 4. Right-click the “Finish” button and choose to open it at a new tab. I’m not sure if this is the “best” method, but this is where most setups fail to complete. Just keep clicking (periodically) the “Finish” button into a new window so that the system tries to re-register, but without requiring you to repeat the steps. 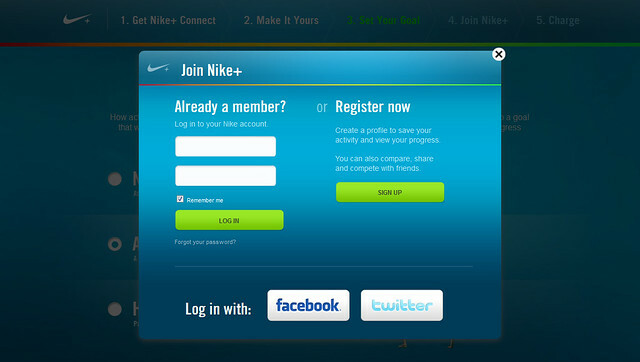 Alternatively, if another method that has worked for some people is to make a NEW Nike+ Account (Meaning at STEP 4, click on the Sign Up button). If you already have a Nike+ account (for Nike+ wristband/iPod nano, or say the iPhone GPS App), it is known to cause some issues with Nike+ Fuelband. Hope it helps and you can get your Fuelband working. Let me know the outcome. Appreciate help and was wondering could walk through with me on the steps u took to register? Hi! Is it now available in Singapore? :) Thanks! apparently its not in singapore yet..
went to ask about it today and the damn sales assistant tried to smoke me by saying that June is for launch in Usa! The easier way to activate it is to use a VPN like Dejiki mentioned. A good example would be http://proxpn.com/ where you can connect to a server in US such that the detection would be immediate. May I ask which vpn did you use? Im having a hard time activating it. Thanks. Hi Dejiki, i tried using Proxpn but always cannot connect. I used hotshield but still cannot get it activate after trying for 1 hour. i email nike and told them i’m singapore but they insist that i can do it via a hard reset which I did to no avail. May i check how long did you take to activate it by right click on the finish button? I keep getting the nike banner on top and a blank screen under the banner. thanks for the help. Using VPN Secure, it took about 2-3 minutes for the completed registration page to show. Which server did you choose for Proxpn? Sometimes, even with a VPN, the Nike+ website would be slow or inaccessible, due to the amount of traffic in the US. During my first attempt, I managed to activate without the use of a VPN, but that was after trying relentlessly for more than an hour. 1) is it now avail in Singapore already? 2) for those purchased from ebay or any other online channels, care to share with me some of your thoughts on the best seller around? 3) can we still set it up nowadays? No, the Nike+ Fuelband is not officially available in Singapore yet. There are several sellers on eBay – try to choose the ones that have good track record and offer international shipping (at least USPS Priority Flat Rate, which offers tracking half of the time, or USPS Priority/Express which allows you to track every update). You can still set up the Fuelband in Singapore via VPN. Only the initial setup requires VPN, you can sync with an iPhone or the Nike+ Connect App afterwards. Thanks for ur information.I was stuck because of website too.Now i can unlock my fuelband.Thank you a million time. Just bought my nike fuelband, and im having so much hard time activating it. The problem is always the finish button. I have tried the vpn thing, i used hotspotshield, but same thing is happening. Is there any other solution to this? Thanks in advance. Guys, does this problem still persist? VPN may still be required for the last step. If you are using the iPhone App to sync, you just need to use a VPN once, to register your Fuelband. Hey! I’ve just got this today, but I get stuck at the “Sign Me Up” or “No Thanks” section. Even by right clicking and opening a new browser, it directs me back to set your daily goal. SOS? Please and thank you. I found a solution to it without using any VPN. Just connect your computer with ur iPhone Internet Personal Hotspot and you can click the button. I manage to complete the process after figuring out for 1 day. Hi! I did try to use a VPN, but was still unable to pass step 3. In addition, I used my aunt’s laptop as it is registered in the US, so the IP is located in the US. Yet, I was still unable to pass step 3!! HELPPP PLEASE. Take a break from the Fuelband setup for a moment. 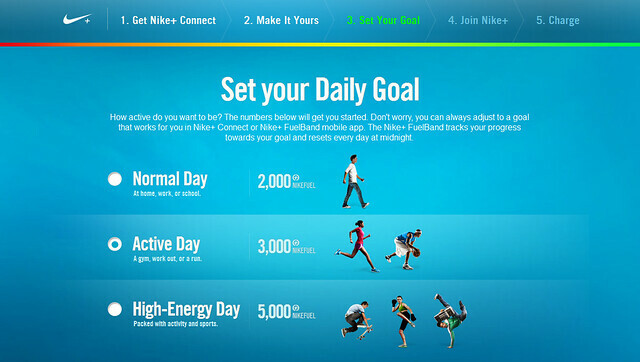 Are you able to sign in to NikePlus.com and view your stats? i managed to use my company’s VPN to complete the whole process on the webpage. But when it comes back to the Nike+ Connect App, it is still stuck at Step 2. Normally how long it takes for it to completely charged? The band already shoes the battery sign is full, or it should show a “Go”? 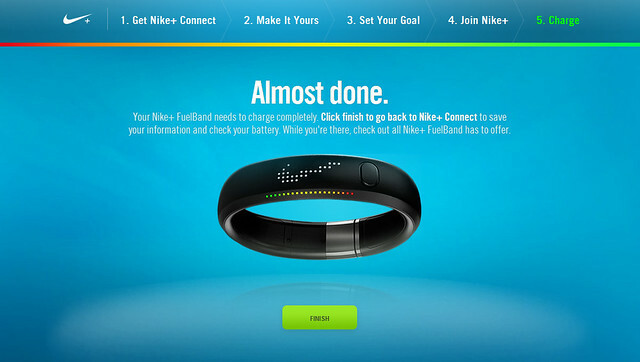 If Step 2 still appears, it means that your Fuelband still has not linked to a Nike+ account. There is no definite cause/solution (sometimes simply retrying again works – blame Nike for this) but are you using an existing Nike+ account that is accessed/registered via Nike+ Singapore? I’m not sure if Nike bothered to fixed this, but when I started using my Fuelband in March last year, I had to sign up for a new “US” account. Out of box, the Fuelbands are usually 50~75% charged. During the setup stage, if it is 100% charged but not linked yet, it will show a battery meter. 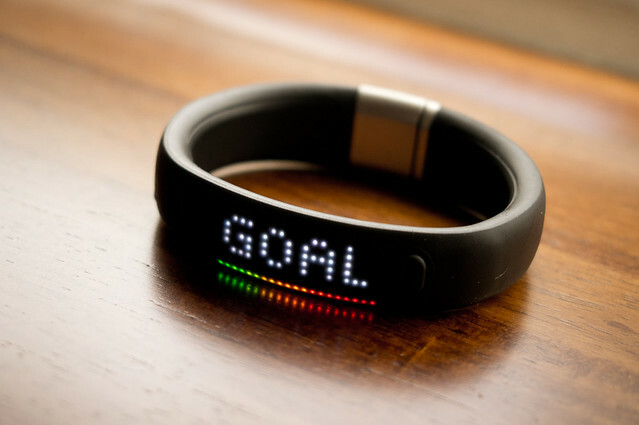 If it is linked, the Fuelband will display the flashing “Go!”. Thanks for the clarification! Looks like a new account also makes no difference! You might also want to know that VPN is no longer required to sync your data to NikePlus.com (whether via Nike+ Connect App or the iOS App) and you can easily view your results on the iOS App. If you wish to view your progress over at NikePlus.com, you will have to use the VPN again (syncing with Nike+ Connect will open a window to the website automatically). Hi, try to set up the nike fuelband using VPN but face some problem. I just couldn’t move on to the next page after selecting targets. Pls help. hello, same issue here. i am unable to proceed after the “get extra motivation in your inbox” page. was using a vpn as suggested but no matter whether i click “no thanks” or “sign me up” it is unresponsive. any suggestions? thanks in advance! Hi, I’m facing an exact same issue as Marie! Any advice? Please help!! In any case you’re having an issue activating it, you can also try using a free VPN service such as VPNBook. hi.. got my new fuel band and installed the software. it prompt me for a firmware update. it failed the firmware update with a error 52.